Classic, natural wood bathrooms are always in vogue. 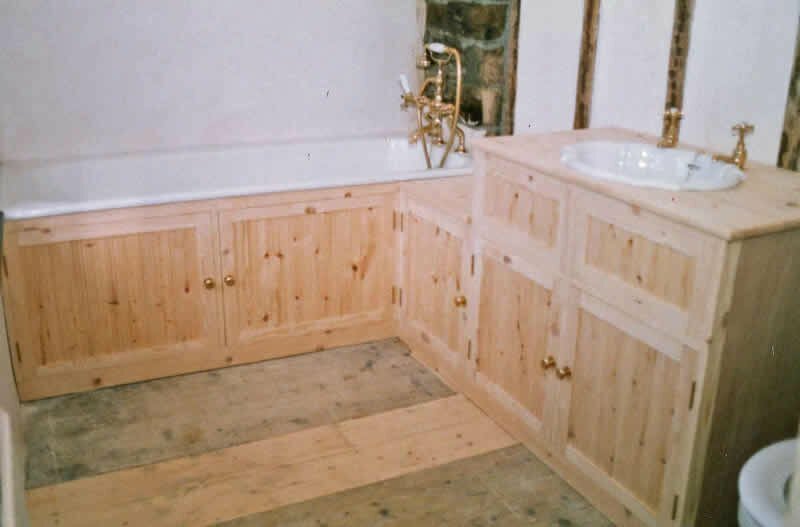 For over 25 years, in North Devon and North Cornwall, we have been designing bespoke solid wood bathrooms built and fitted by highly skilled and experienced craftsmen. 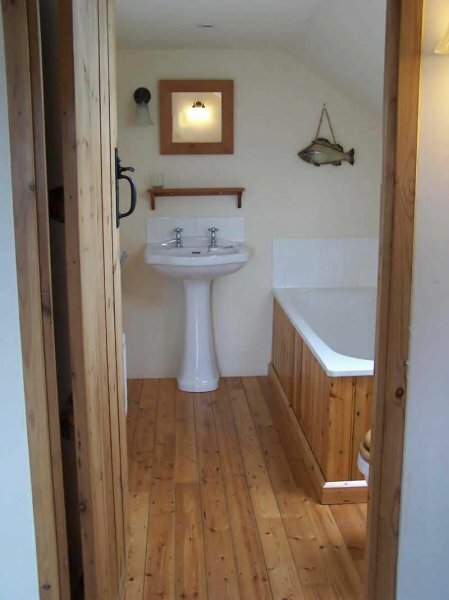 Our bathrooms are warm and inviting, highly practical and make bathing a luxurious experience. Wood is a perfect material for use in bathrooms. It is warm underfoot, easy to clean and hygienic, its beauty increasing with time. 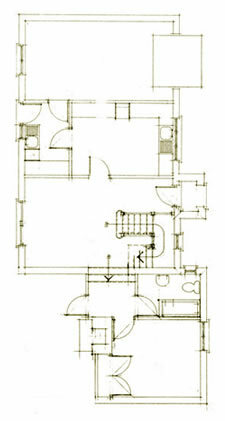 A variety of woods can be used for the flooring, panelling, and building of cupboards etc. Where a warm natural wood finish is required we use reclaimed pine, pitch pine, and oak as these have an inherently rich colouring. Where a painted or coloured finish is required we use redwood joinery timber. 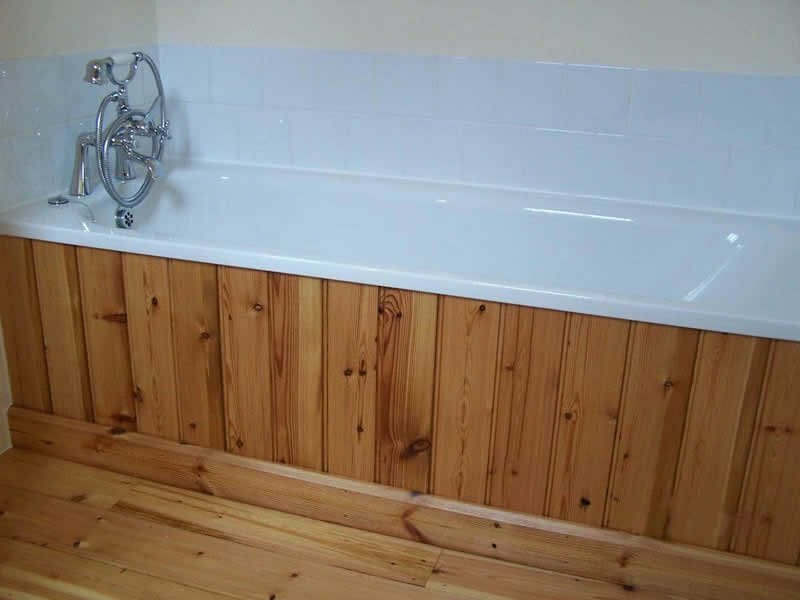 The wood finish in the bathroom is very important to prevent moisture from penetrating and causing staining. We use a natural hardwax oil finish as well as natural paints and stains. These products come in a large colour range and are of excellent quality. 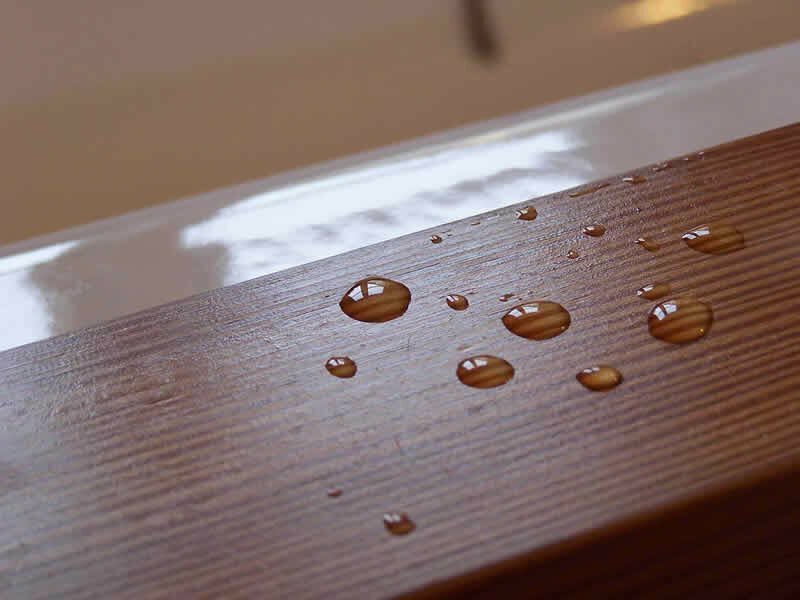 They are microporous allowing the wood to breathe and the colour to mellow, yet are extremely water repellent, hard wearing and dirt resistant. We apply a wax impregnation base coat that protects against staining and water damage, then on top of this we apply a minimum of two coats of satin or matt finish hardwax oil or colour. We are able to replace existing floors with reclaimed or new timber floorboards at our clients’ request. 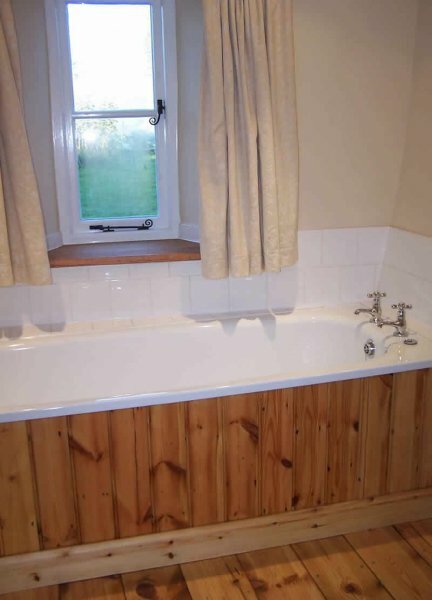 We are also able to renovate old existing floorboards where the wood has not deteriorated. We can use every available space for storage. 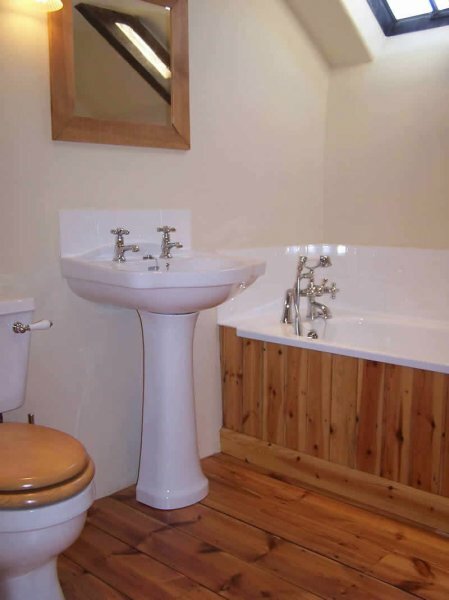 Sinks can be set into bespoke units comprising cupboards and shelves. 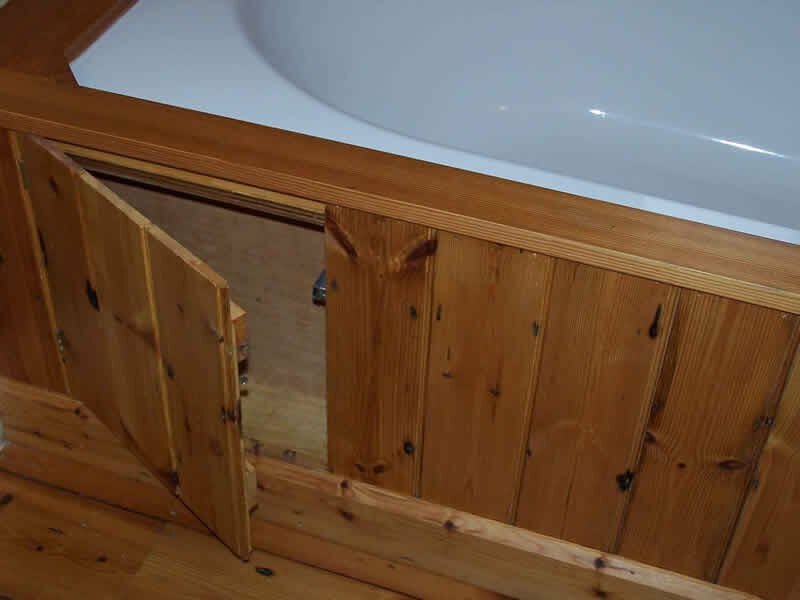 Within the panelling of the bath we are often able to incorporate one if not two, concealed cupboards with automatic catches that need only a gentle push to open, thus eliminating the need for a handle. 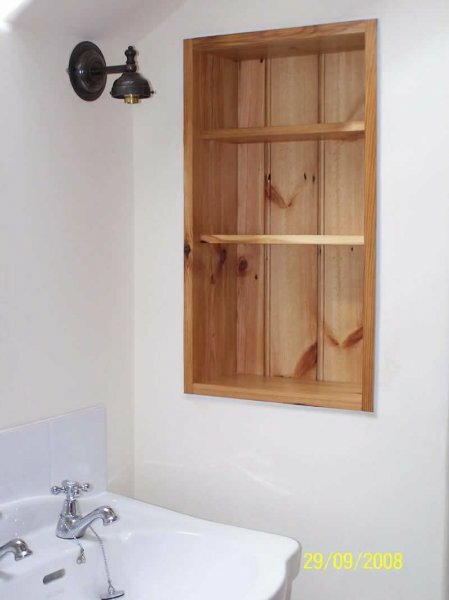 Cupboards can be built into walls that are hollow or particularly thick and pipe work can be boxed in and given a wood capping to create low shelving. We endeavour to create warm, inviting bathrooms that allow you to relax in complete luxury.